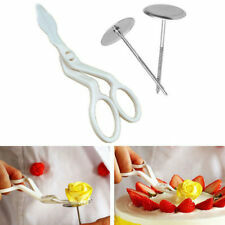 (2) Ideal for making cakes, bread, biscuit, cookies, chocolate, fruit flowers and cut vegetables, etc. 3pcs x Stainless Steel Cutter. Size: As the photo show（1cm=0.39in）. hope you could understand. Color: Silver. Trending at C $2.07eBay determines this price through a machine-learned model of the product's sale prices within the last 90 days. 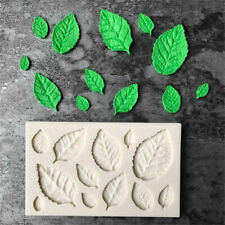 Ideal for use with a range of Edible and Non-Edible materials including: Sugar paste (rolled fondant), petal paste (gum paste), marzipan, Fondant Cakes, Marzipan DIY cooking or craft clays. 1 mould providing 12 Dinosaurs. These mold are ideal for use with a range of Edible and Non-Edible materials including: Sugar paste (rolled fondant), petal paste (gum paste), marzipan, Fondant Cakes, Marzipan DIY cooking or craft clays.Your best choice to create a beautiful cake,cupcake or any craft. 100% brand new and high quality Easy and convenient to use Create perfect lattice tops for pies and tarts in seconds with a simple roll action Material: ABS Roller Size: 13.5x /5.31''(Approx) Full size : 20cm/7.87''(Approx) Quantity:1 PC. 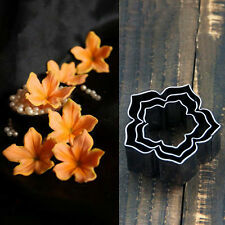 Use for fondant, chocolate, cake decorations, etc. 1 Silicone Mold. 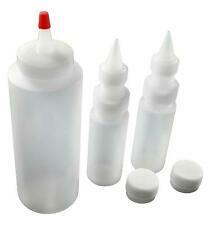 Material: Silicone. Detail Image. Color: Random. Due to the difference between different monitors, the picture may not reflect the actual color of the item. 1 x Cake Cutter. Material: stainless steel. hope you could understand. 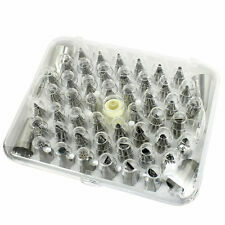 1 Pcs Baking Tools. Color: As picture. Canada Rate (item arrived) 0.0% 47. 1 % 31.4% 17.6% 3.9%. Rate (item arrived). United Kingdom. 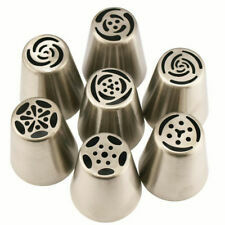 Suitable for making cakes,bread,mousse,jelly,prepared foods,chocolate etc. Contains 55 mini hearts. Heat temperature tested from -40 to 230 degrees Celsius. Detail Image. Color:Pink,as picture shows. Due to light and monitors effect, color difference may exist slightly. Material: Stainless Steel. Color: Silver. Water fight balloons, air gun target balloons, apples decorative balloons, play balloon. 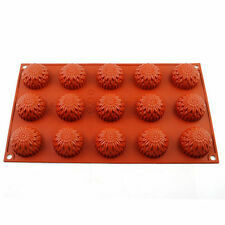 Disposable cake baking mold, which eliminates the trouble of cleaning the mold, lovely and generous, very practical Oh! 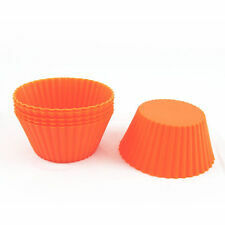 To do a small cake, muffin, also do the chocolate at the bottom of the receptacle to use! Ingredients like dough, butter, etc. If you're making cupcakes instead, you'll need all of the ingredients above. But, instead of a square or circle pan, you'll need a cupcake pan. What cooking accessories are needed to bake homemade cookies? What baking accessory materials can be used in the oven? Metal - Metal tools must be made of non-reactive metals such as stainless steel. If the dishes and tools are not made of non-reactive metals, it's imperative that the metal pan is properly coated. Ceramic - It's important to be careful with any glazed ceramic baking tools. Before using an unglazed ceramic piece in the oven, it's important to make sure it's safe for use in an oven. Glass - Most glass baking tools are safe for use in an oven. But, you must be careful not to subject glass dishes to temperature shocks. If you're unsure whether a glass dish is safe to use in the oven, you can check to see if the manufacturer deemed it oven-safe. Silicone - Food-grade silicone baking dishes and tools are nearly indestructible. 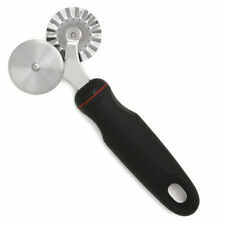 What tools do you need for decorating baked goods? If you're interested in using frosting to personalize your creations, you'll need pastry tools including a scraper, cutter, and cookie scoop. 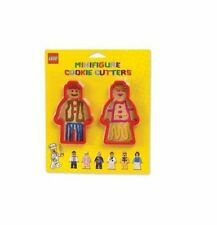 These items are used to write on baked goods, add embellishments or other interesting details that can personalize an ordinary chocolate cake with frosting. Accessories used to decorate goodies can be purchased as one-time use or more permanent options that can be reused over and over.